A.W. 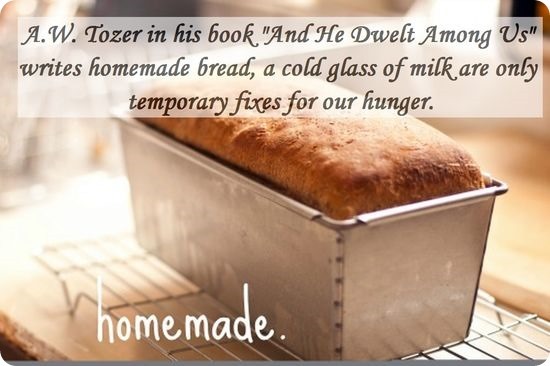 Tozer in his book And He Dwelt Among Us writes it is the everlastingness of God we hunger for that homemade bread, a cold glass of milk and other worldly things are only temporary fixes. Until we take God up on his invitation to dine in His Heavenly Diner and “feast” of His menu our hungering and thirsting will always leave us wanting more and more. Tomorrow in a special Saturday Glory Seed I’ll take you inside God’s Heavenly Diner.